Last night I was exploring campaigns of Indiegogo to get an idea to start my own campaign, I gone through some pretty good ideas. I also found some Ideas that we need badly in our society and I couldn’t stop myself to participate in some of these. One of them is PetMeHome- The Pet Adoption App, this is one app that being a pet lover, a veterinarian and a Pet Nutrition Blogger I must say every Pet lover and owner should have in their smart phones. I mean what’s the point of technology when we can’t help those innocent souls. We have dozens of social media, messaging and gaming apps in our cell phones but we don’t have any of these like the PetMeHome app. Maybe the reason such apps don’t make it to the top of trendy or Editor’s Choice apps, so most of us keep unaware of such helping apps for pets. 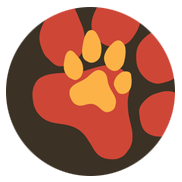 So, what does PetMeHome app does, it will create a profile of the pet owners where they can upload pictures and videos of their pets. The pets will be divided in different categories so that the search function becomes easier and more precise. The application is also location based so that the people who are looking for pets will find the one they are looking for more easily and in their own neighborhood. This app will eliminate the risks of pets ending up in shelters as the pet owners who want to give their pets will be contacted at once by the ones who are willing to adopt them. So, how can we help? We can help in funds contribution, helping them with the app development, design, server and marketing of the app. They are happy to be heard by some developer, programmer or any entrepreneur. If we can’t provide any of these we can at least share or tweet the campaign with our circle, so that the campaign find someone who can be more helpful. So, let’s play our role and help all those pets in finding their homes so that they don’t end up in shelter.